With one of the leading cosmetic dentists in the Bothell and Kirkland, Washington community, Pearl Dental Center is committed to superior service and care. Dr. Hassan Jazaeri brings considerable training and talent to the field of family dentistry in the Woodinville region. Along with his skilled team, Dr. Jazaeri emphasizes education, artistry, and a passion for his patients’ well-being. To accomplish his goal of creating beautiful, healthy, confident smiles, Dr. Jazaeri employs some of the most advanced dental technology in Bothell and Kirkland, Washington. And because we believe everyone deserves a radiant smile, Pearl Dental Center offers several methods of financing for our patients. Learn more below. One of the most exceptional cosmetic dentists in the Bothell and Kirkland, Washington area, Dr. Hassan Jazaeri had a stellar academic career at Case Western Reserve University (CWRU) where he was voted resident of the year by faculty. Upon graduating he was part of a select 14 percent of graduates enrolled in an Advanced Education in General Dentistry (AEGD) program which involved an extra 13 months of higher training on complex dental treatment modalities and hospital training. The AEGD program enabled Dr. Jazaeri to develop his excellent skills in patient management and multifaceted treatment planning, which included dental implants, root canal treatment, family dentistry, and geriatric dentistry. Furthermore, during his hospital rounds at University Hospitals of Cleveland, he gained important understanding of the interaction between medicine and dentistry. With a firm belief that learning is a life long journey, and patients are always better served with the most up-to-date information, Dr. Hassan Jazaeri is keen on attending continuing education courses even beyond those required by state law. He recently attended the American Academy of Cosmetic Dentistry conference in San Diego, CA, where he was on the president's honor roll for his support of the academy's mission to advance the art and science of cosmetic dentistry. 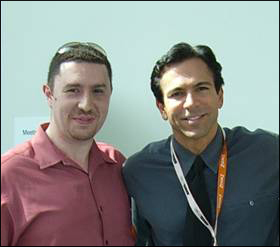 Dr. Jazaeri with Dr. Bill Dorfman from the ABC hit show Extreme Makeover. To schedule a consultation, contact Dr. Hassan Jazaeri today. Oral Conscious Sedation: also known as “sleep dentistry”, oral conscious sedation is a safe and effective solution to our patients who suffer from dental phobia; a combination of oral sedatives bring the patient to an extremely relaxed state of consciousness, allowing them to receive dental work without anxiety or pain. Intraoral Camera: an intraoral camera is a tiny, pen-shaped instrument that allows the doctor to easily and clearly examine the inside of the entire mouth; problems are more readily identified, and patients get a better idea of what is going on with their teeth. Digital X-Rays: gone are the days of uncomfortable, and potentially unsafe, traditional X-rays: digital X-rays offer a less invasive, less risky form of viewing tooth and mouth structure; and the images produced are much clearer than ever before. To learn more about the technology used at our family dentistry practice near Woodinville, contact Pearl Dental Center today. Pearl Dental Center is proud to help Bothell and Kirkland, Washington patients finance their next treatment by offering Citi Health Card financing. Patients of Dr. Hassan Jazaeri can easily manage the costs of all their dental procedures by choosing from the variety of affordable payment plans covered by Citi Health Card. This financing option is an excellent solution to paying for your much needed care. For additional information on payments and financing, please contact our office in Bothell. A member of our staff will be happy to answer any questions you may have. Schedule a free consultation with our cosmetic dentists serving the Bothell, Woodinville, and Kirkland, Washington area. Contact Dr. Hassan Jazaeri and Dr. Arash Niazi today. Among the leading cosmetic dentists in the Bothell and Kirkland, Washington area, Dr. Hassan Jazaeri brings artistic talent and technical skill to our family dentistry practice near Woodinville. 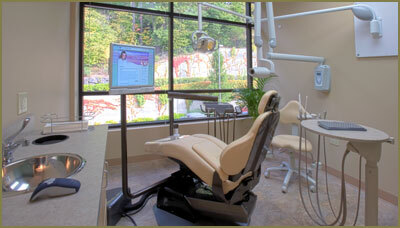 Dr. Jazaeri excels in providing personalized care with outstanding results.